Members of the parliamentarians and provincial council and local council members have requested to convene a party conference immediately on the selection of the United National Party's Prime Ministerial Candidate. 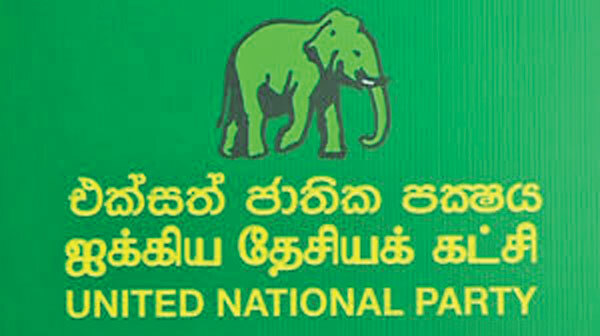 Three members of the UNP, including the 24 Provincial Council members and 43 local council members, have jointly issued this request. They have also sent a letter to the party general secretary. They make this appeal to strengthen the country's democracy and to ensure the party's democracy. The leaders of the United National Party always listen to the peaceful regime. I believe that the time has come to build a peaceful regime without talking about it. Without democracy within the party, we can not talk about democracy in the country. President Maithripala Sirisena also said that Ranil Wickremesinghe would not be re-nominated. So the party should think of alternative ways to get out of the run. They have to decide who can make them prime. Ranil Wickremesinghe should be excluded from the position of United National Party leader. We have already said before. Ranil Wickremesinghe continues to be the leader of the party if it continues to be. He completely destroyed democracy in the United National Party. When Dudley Senanayake took over as chairman of the party, he also convened a party conference on the anniversary. When the party convention begins, Dudley Senanayake will come down from the leadership seat and sit at the bottom of the chair. He will go to that seat only after the chairperson is selected. Leaders should act as democratic. The party has fallen so far because there is no such condition. Now the people of the country have clearly understood that there is no democracy in the United National Party. Ranil Wickremesinghe does not have any interest in the country or the people of the country. His aim is to be the head of all time. His only purpose is that the country should be headed if it degenerates. There is no alternative to the two parties in the country. However, the future generations of those parties must be formed. If only one person is holding the post office, the party will be deteriorating. If Sajith Premadasa is appointed to the presidency, there will be a solution to existing crises. Today's need is to have a conference in the United National Party and select a leader. That is the right solution for democracy.